Twitter. Using microblogging for educative & research purposes. ⇾ What is a Retweet? Twitter is a social network based on microblogging. It allows you to post entries, as in blogs, but the particularity is that they cannot be longer than 140 characters. These micro-entries are called tweets, and the act of writing and publishing a tweet is called tweeting, which explains why Twitter’s symbol is a bird. Tweets can also contain different types of media, such as pictures, videos, and GIF images. Given the very limited extension of the entries, you need to compact information so that you manage to tell something interesting and important, otherwise nobody would follow you. Because this is one of the most interesting features of Twitter: you can follow people you like in order to receive their tweets in your tweet feed, that is, your Twitter homepage. Usernames begin with @, like @apps_tic_ei, and you can tag people in a tweet so as to share it with them, acknowledge them as its source as well as engage in discussion. What are Hashtags? Working with #hashtags. Another important feature of Twitter is hashtags, which allow users to identify their tweets as relevant to a topic or an event. Their name is self-explanatory: a tag beginning with a hash. Anyone can invent their own hashtags, but they are more likely related to a topic, such as #lylitadistancia, the one we use most in Aplicaciones TIC. Thus, you can use the search tool in order to find all the tweets that contain a specific hashtag. Besides, if many people are using the same hashtag at the same time, it will become “trending topic” and it will be featured prominently on Twitter’s homepage. They are equally useful for the live broadcasting of events: if you are attending a conference or talk, you can post tweets explaining what is going on and adding the hashtag chosen for the event, as it was done during the X Seminario TIC-ETL: Recursos para la investigación en Tecnologías de la Lengua, for which the hashtag #XSeminarioTICETL was used. It is usually abbreviated as RT, and it is used on to show you are tweeting content that has been posted by another user. The format is RT @username where username is the twitter name of the person you are retweeting. Retweets have the same features of a tweet but with the twitter name of other profile. For instance, if someone you follow writes in a tweet something that you consider important or hilarious, that would be a great time to retweet it. Thereby your followers will read it too. 1. Hover over a Tweet. 2. Click the Retweet icon. 3. A pop-up will show you the Tweet you’re about to Retweet. 4. Click the Retweet button. 5. The Tweet will then be shared with all of your followers as a Retweet! What happens when one retweets? As we read in the official web page “Retweets look like normal Tweets with the author’s name and username next to it, but are distinguished by the Retweet icon and the name of the user who retweeted the Tweet. ⌑ Tweets retweeted by other people: You can see Retweets your followers have retweeted in your home timeline. Retweets, like regular Tweets, will not show up from people you’ve blocked. ⌑ Tweets you have retweeted: If you retweet someone you follow, it will be visible on your profile timeline. If you retweet someone you do not follow, it will be visible on both your home and profile timelines. ⌑ Your Tweets that others have retweeted: Go to Notifications in the top navigation bar. In the Notifications section you will see all activity concerning your Tweets — including which have recently been retweeted and by whom. We can find a lot of information on the internet about benefits of retweeting due to the importance of it in the marketing area as well as other fields as media. If you can provide value to your followers you will not only make your fans or followers happy, you will most likely attract more followers. Providing quality content is always a great way to provide your followers with value. The first thing that comes to mind is sharing a link with interesting information that is from you or another person. Retweeting will help build your personal brand as well as your fans´ loyalty. If you point a follower to an external source that is truly relevant and beneficial to them, the amount of trust that person has in you will increase. The next time you post a link, whether it’s to your website or to an external source, the chances of that person clicking that link are higher than before. Retweeting someone else’s content is an act of kindness, and others are likely to do the same for you. This doesn’t mean that you should expect someone to retweet your content just because you retweet theirs. Remember, retweeting is all about providing value to your followers, typically people will not retweet a post of yours unless it’s perceived as important or helpful. If you retweet sending Spam, this can actually hurt your personal brand and future traffic. If done right, a retweet can provide value to your followers, improve your personal brand, increase the number of followers, and build relationships with a lot of people. When you want to reply to someone, you hit the little reply arrow in your client or on the web. The client will insert that users name with an @ sign, like @shanselman. It will also populate some hidden metadata indicating which tweet you were replying to. It’s helpful to reply to specific tweets as it makes the conversation easier to follow later. Often newbies reply to the most recent tweet, but then make reference to tweets from days before. For maximum social-ness, the first setting you should change when you sign up for Twitter is your @replies setting. Set it to show replies from anyone rather than just the replies from people you follow. Otherwise you’ll miss out on a lot of the conversation. I can see your replies even if I don’t follow you. You don’t need permission from me or anyone to reply and jump into a conversation. What is a list? Creating a list. A list is a supervised group of Twitter, A person can create His/her own list or subscribe to a list which has been created by others. These lists are only used to read Tweets from users on that list and you can not send a Tweet to the members of a list. For building a list, you have to go to your Profile clicking on your Photo, scroll to Lists and there, on the right side, you can click on Create new list. In the appearing window you introduce a name and a description and, after saving, you can introduce in your new list any Twitter user as a Member which you want (yes, even without their permission). The advantage of doing this is that you follow all the Tweets of the List members from that moment. All of it without becoming a direct Follower of any user. As it has been said previously, one cannot send a tweet to the list members at once. How lists work: functions and use. First of all, you have to create a list with a name and a short description. There are two possibilities: make your list private or public. Remove or add people from your list. You only have to select ” Add or Remove from list” and people that you add, they should appear when you select “Members”. -Paste the URL into a message to anyone that you want to share the list with. -Click on the list you’d like to look at and you will see all the Tweets of that list. Differences between followed and followers. Followers are people who follow you because they want to read your Tweets when you post them. Thus, when you have followers you are followed. For instance, if you subscribe to a company’s Twitter account, the company is “followed” by you, whereas you are its “follower”. References to the lists of our course. For our course, Professor Jordano has established several lists, with a lot of specialized-in-our-field Twitter users as Followed @Connect’s (List Members). Students like us can include themselves in the different lists as Followers (Subscriptions’ List). For doing this you have to go to the @Connect you wish, for example, @apps_tic_ei, there you can see in upper side: Lists, you click on this and all the list names appear, you click on that you are interested in and a button appears on the left, indicating Subscribe to the list. When you click on it, you become a member of the list and in Tweets you can see all the Tweets of the List Members (no the list followers’). For @apps_tic_ei, the lists are Unit 1 to Unit 5. Aplicaciones de las TIC Group 3: Becerra D., Muñoz A., Núñez-Lagos B., Rebollo J., Sanjosé A. Supervisor & Reviewer: Borreguero L. Coordinator: Jordano M.
This tool has more than one million downloads and a score of 4 points out of 5 in Google Play. Nowadays it is one of the best values tool for mind maps. However, there are many comments on the net that say that Mindjet doesn’t goes very well when working with the mobile version. It seems that there are some problems with the templates and the synchronization with Dropbox. My experience is that it is a very intuitive app. I found it simpler than the computer version and it is faster to learn. You can create a simple map in just 5 minutes. However, when I try to recuperate the project that I have written before with the normal version, there were many problems. It spent a lot of time, and when I got to open it, it was all wrong. The connections weren’t correct, the colours had changed and everything was a mess. There were warnings saying that some features are only supported on Mindjet Web accounts. So, I coincide with the comments I read: the mobile version, although simpler, it’s not good when opening Dropbox files. Freemind is an open source mind mapping tool built in Java, and is available for Windows, Mac and Linux. It has a wide variety of features, including location-based mind mapping, collaboration tools, restore session support and more. It can be used to keep track of projects as a knowledge base, and as a powerful mind mapping tool for complex diagrams with numerous branches, including embedded links and multimedia. You can export your map as HTML, PDF, OpenDocument, SVG or PNG. FreeMind auto-layout makes searching clean and useable. When I downloaded the mobile version I have some difficulties. The first one was that in Google Play there were two apps available: FreMind Reader and FreeMind Viewer Free. I tried the first one. I accessed my Dropbox (you can also use your Drive), selected the file and I could see it in my phone. This app is used only to visualize. After that, I downloaded the second app. This app is used to create your maps, but it is very simple. I hasn’t got many options although it is easy to learn. The worst part of all: it is full of advertisements (as you can see in the pictures I attach). I downloaded this tool and started to try it. One of the things that I like is that I could access to many models that people share on the net. This way it is easy for me to have a global vision about the kinds of maps that you can create. You can also share your maps and upload them to the Cloud, and other platforms. The difference with respect to other tools is that you can add web links, so it is more useful because you can access directly to those resources easily and from wherever you are. It is simple to use. However, I could not find a mobile version. When I tried to download this tool it always said that it was not possible to open the file. It seems that this app is only available for Windows Mac, Linux and Solaris, not for Android. Now it is your turn to decide. Which one do you prefer? Do you know other tools? Thank you in advance for sharig your comments. 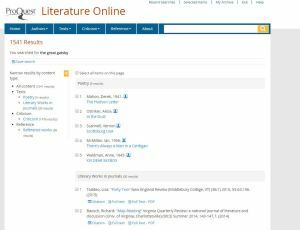 I am back again to show you a great bibliographic database, quite intuitive. 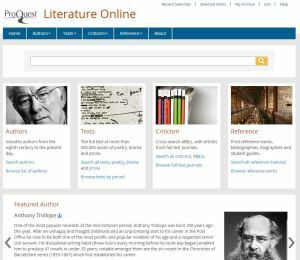 Ladies and gentlement… welcome to Literature Online (LION). As I am studying American Literature II right now, I wanted to see some information about ‘The Great Gatsby’, and there were 1530 results. As you can see, the information can be filtered by content type on the left hand bar. LANGUAGE LEARNING TOOLS ONLINE: WHICH ONE IS THE BEST? I have always thought that the best way of learning a foreign language is going to the country and speaking with the native people of that language. That’s the reason why I went to Canada when I was only 16, and I decided to study a degree in London after I finished the secondary school. However, something that it wasn’t planned at all, it was meeting my Italian ragazzo in London. I laughed at my friend Louise when she first showed me her new app Duolingo. She started dating her Italian boyfriend a month before me, and after months teaching him English she decided that she wanted to learn the Latin language. I also thought about downloading the app, but instead I printed the list with all the Italian verbs following the methods I was taught in school… Anyway, my list is still on my phone and I have probably used it once. The way I have learnt Italian is listening and throwing in the air the most absurd sentences in Italispanish which, for some reason, all of them understood. Now, I’m very fluent talking but I’m very frustrated since I cannot answer any of my what’s app or facebook messages in Italian. Therefore, I’m looking for a fast and fun way of learning how to write in this language and I would like to try with modern methods this time. AND THE DOWNSIDE? Since we’re on the topic of points… it’s LiveMocha’s biggest issue. While users can do many activities for free, unlocking new lessons costs “points.” You can purchase points if you need, but by correctly answering questions or helping others, LiveMocha rewards you with free points to use. It’s a bit confusing, and rather unnecessary, considering how easy it is to achieve points. As for the learning style, it felt a little quick, which was a struggle at times. Another problem is communication in the new Livemocha is very limited and the lessons are min-numbingly dull. The technical bugs and errors in their lessons are frequent too.